Now that the wonderful chaos of the holiday season has died down, it’s time to get our diets back on track. I don’t know about you, but post-NYE I’ve been working hard to eat meals that are filled with greens, nutrients and lean proteins to make up for all the unhealthy treats I succumbed to over the past couple months. Losing weight doesn’t always mean eating less, it just means eating more of what’s good for you and filling your body with foods that satisfy you for longer. Foods like chicken and salmon are known to keep your belly full, while other super foods help with digestion and nutrition. You should aim for a healthy, balanced diet above all else. Fill your body with fresh fruits and veggies, and lean meats that increase your protein intake. Don’t worry, these recipes aren’t ones that will make you cringe from being boring and plain, they all look absolutely delicious! Plus, they’re super nutritious and are packed with ingredients that aid in weight loss – the best of all worlds if you ask me! Here are 5 healthy dinner recipes to help you lose weight. 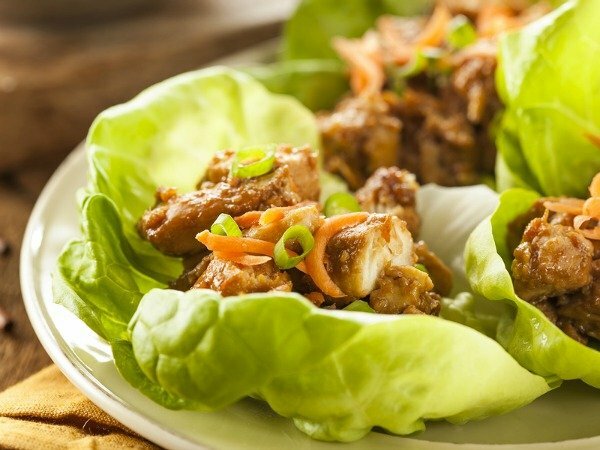 Chicken lettuce wraps have long been a favourite of mine, ever since I first tried them at P.F. Chang’s. I’ve made them a number of times at home and they are just as tasty! Chicken has tons of lean protein, so along with keeping you satisfied it also helps to build muscle (with regular gym sessions of course) and lettuce is a healthy alternative to bread wraps. Plus, these are also filled with edamame, chestnuts, carrots, zucchini and more delicious veggies. Soups are a go-to in my household in the wintertime, and this carrot ginger medley looks scrumptious and comforting. It’s packed with vitamins A and C, along with manganese, which is known to aid in digestion. So overall, a great detox soup! I’m such a sucker for white pasta, which is probably the worst kind of pasta for you there is, especially when it comes to weight loss. Although I refuse to cut white past out entirely (it’s just so good) I’ve been on the hunt for tasty alternatives and these yam noodles take the cake! Instead of spaghetti and meatballs, try this recipe for a healthy noodle change. I absolutely love spicy foods! And did you know that hot spices like chilies help with weight loss? Well, they do. This salad is filling, its packed with greens and it really brings the heat! Whip it up in under 30 minutes for a light, nutritious meal. Coconut. Crusted. Salmon. Need I say more? Salmon is packed with lean protein so it’s a great addition to a healthy, balanced diet. A good dose takes a while to digest so it keeps you full for longer. And the addition of coconut is a nice twist to a typical maple or dill salmon recipe. Pair it with some broccoli for some extra antioxidants. 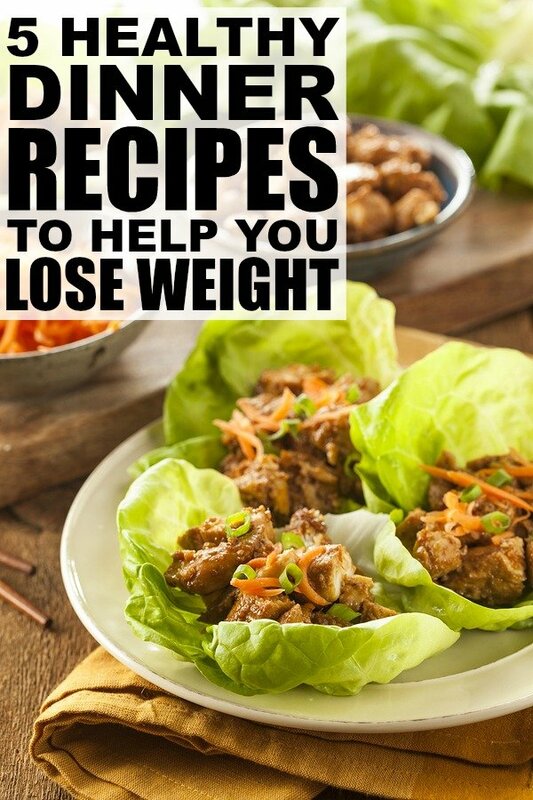 If you enjoyed these healthy dinner recipes for weight loss as much as us, please share them on Pinterest! And if you’re looking for more health-related tips and tricks, please follow our Health and Food board where we share all kinds of inspiration!